This roofed and multi-purpose site located in Montjuïc Park, in the "Olympic Ring", was built to mark the 1992 Barcelona Olympic Games. Designed by the Japanese architect Arata Isozaki, this roofed and multi-purpose site located at Montjuïc Park, in the “Olympic Ring”, was built to mark the 1992 Barcelona Olympic Games. It is considered a masterpiece of modern architecture and engineering. Its structure allows the site to be adapted so it can play host to every kind of event. 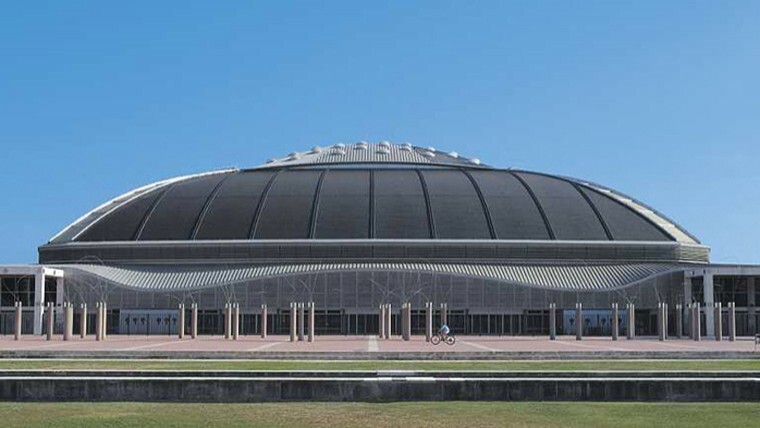 Palau Sant Jordi also has, what is more, a series of halls integrated into the facility which can be used independently for meetings, parties, launches of new products and small events.